This stylish, feminine and discreet headscarf makes the HeadSaver as individual as you! Available in two colours, pink or blue. 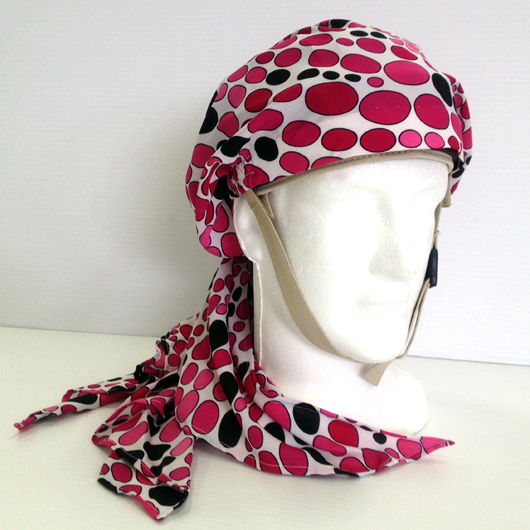 The scarf has been specially designed to fit the HeadSaver head protector perfectly. It is elasticated and stitched in such a way as to keep its shape and style.